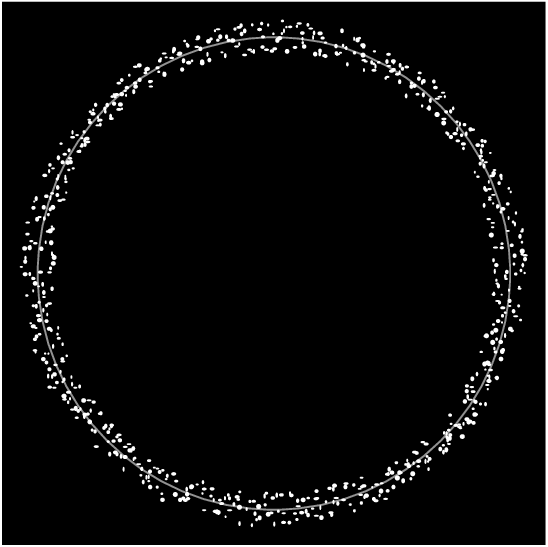 How can I construct an asteroid belt in TikZ? 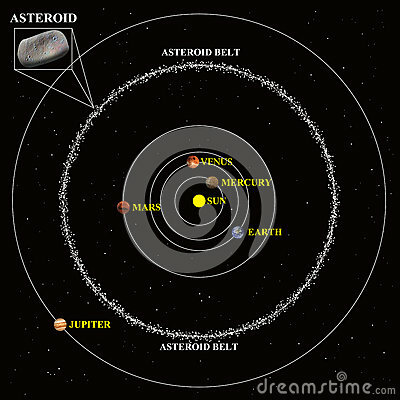 That is my question: I get everything right, but I do not know how to make the asteroid belt. I have no code to add besides the preamble with TikZ package since I don't know where to start. 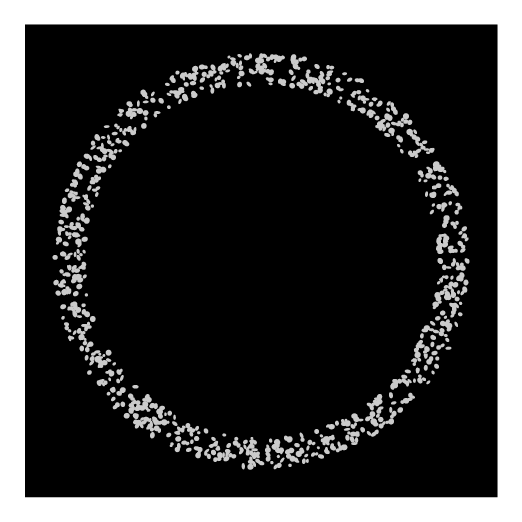 \tikz[belt, step angle=5, density=5]\fill[gray,belt/do]; % Both belt/step angle and belt/density influence the density of the dots in anti-proportional ways. (density should be integer and greater 0). 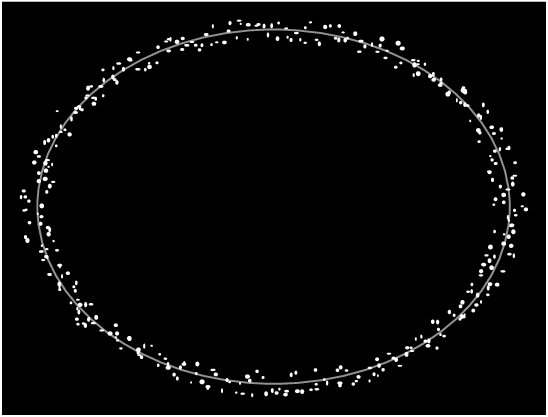 I don't know how random your asteroids have to be, so this is maybe not good enough. 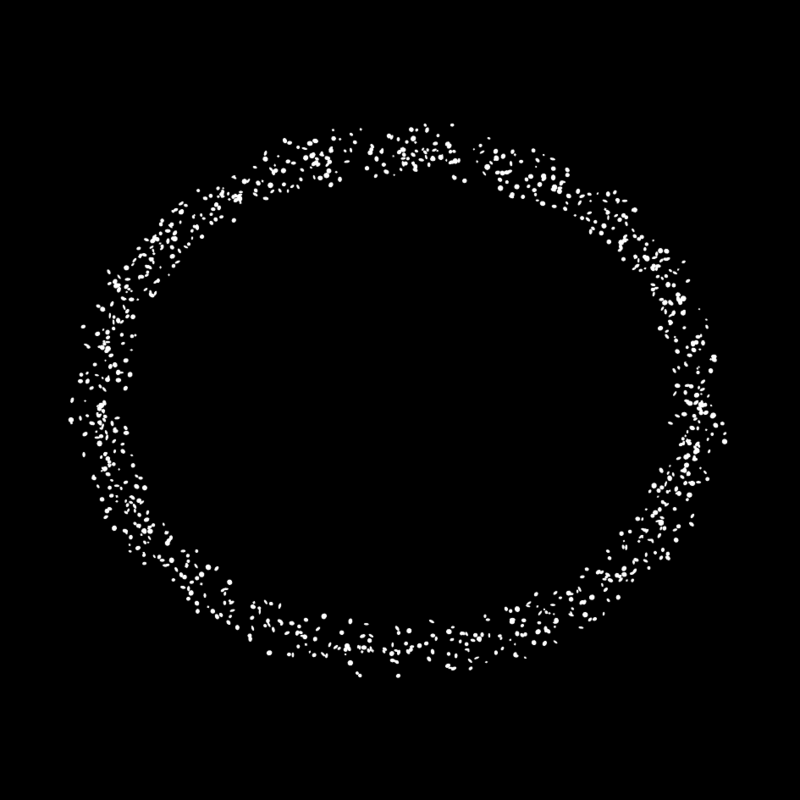 It uses the dots pattern, so the 'asteroids' are evenly distributed. 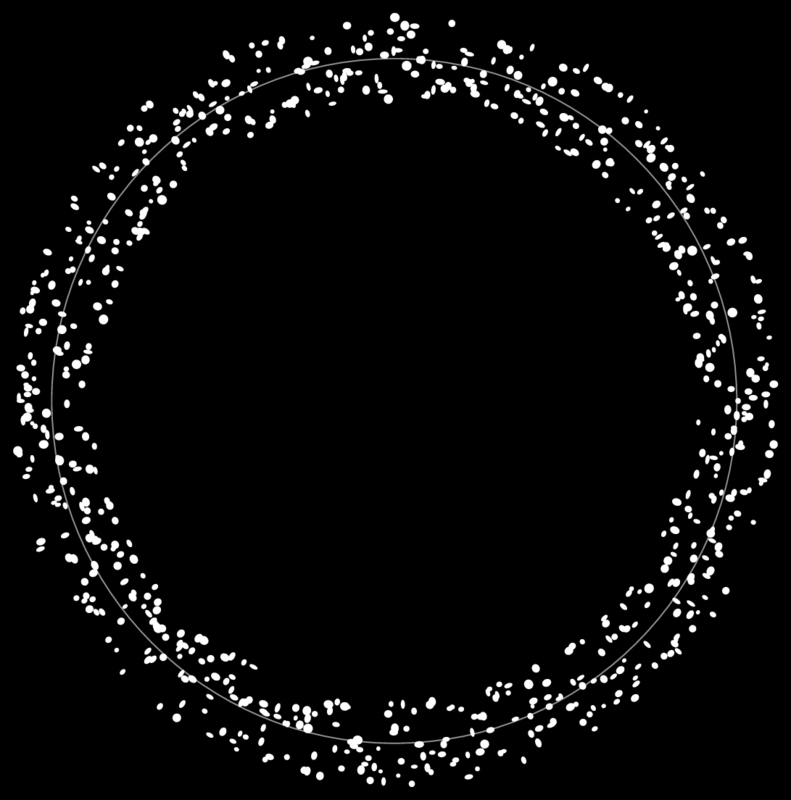 The border of the belt is randomized with the random steps decoration. The following examples uses the luamplib package, and must be compiled with lualatex. 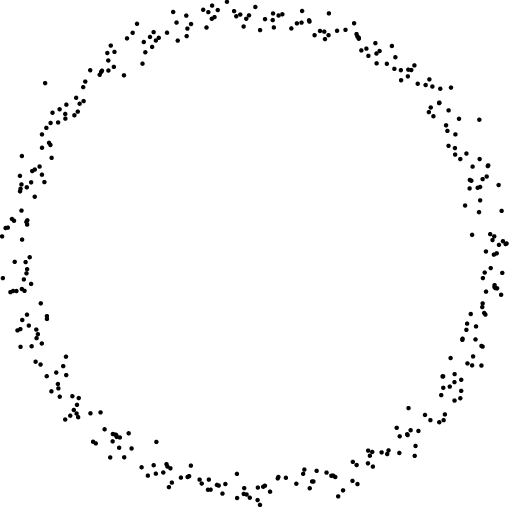 Here is a simple solution via TikZ with random rotated ellipse for each asteroid. 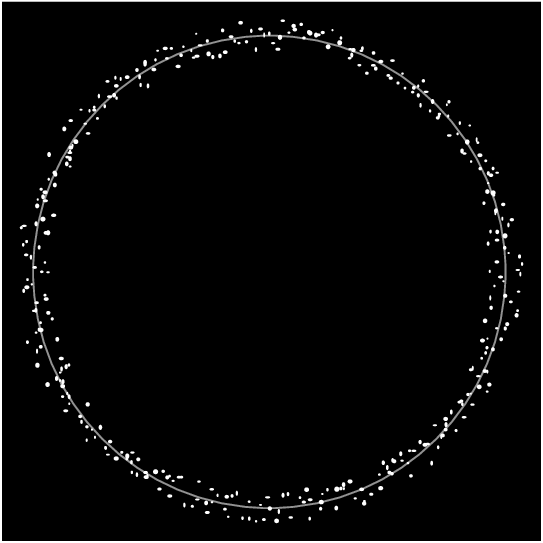 Edit: Here is a variant to put all asteroids on an ellipse. Second edit: with Sun and planets. When I saw this question I thought of using the tikz decoration methods to answer it. After several hours poring over Chapters 21 and 30 of the manual I figured out how to do it in a few lines. 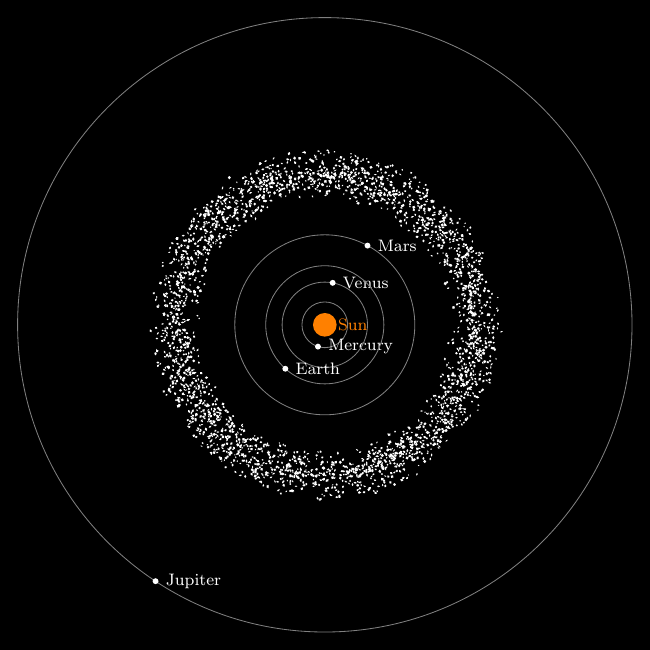 The aspect key is used to define the eccentricity of each asteroid. 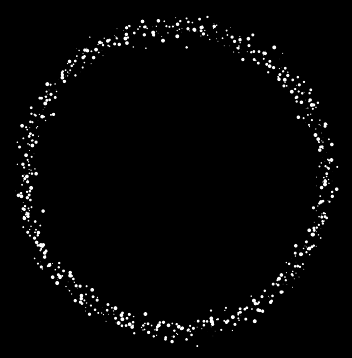 If the aspect is a, then each radius (x and y) of the asteroid is set to be a random number between a and 1/a times the value of the meta-amplitude key. 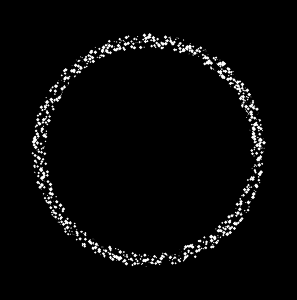 So the aspect could end up being as much as a^2. With PSTricks. 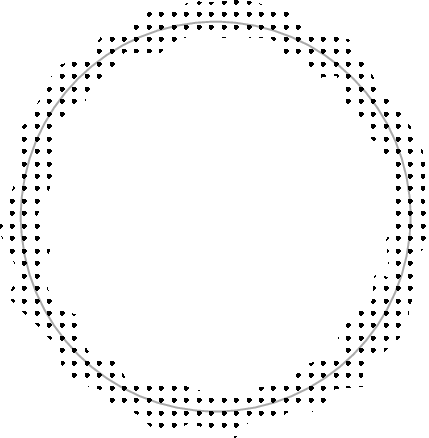 I use randomly positioned ellipses with random axes and orientation. Note that Rand no longer produces a random real number between 0 and 0.5 inclusive. Its definition had been tacitly changed. 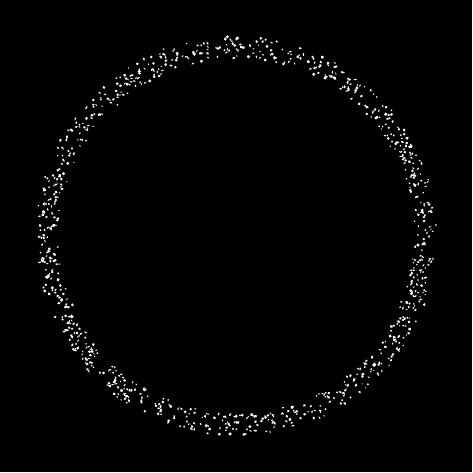 Now it produces a random real number between 0 and 1 inclusive. It is not documented, nor announced, but it is still fun! 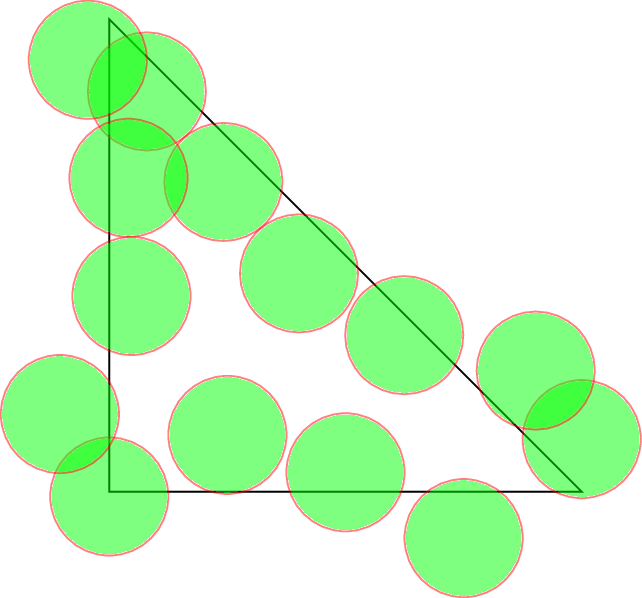 Can a similar figure be drawn using Tikz?